The government of Singapore is once again apologising for a serious breach of citizens’ privacy: this time, the personal details of 14,200 individuals who tested positive for HIV, and 2,400 of their contacts, have been published online. The country’s Ministry of Health (MoH) said it had been aware since 2016 that one Mikhy Farrera Brochez could be in possession of the information, but it had not announced this because Brochez had not published anything. It had, however, notified the individuals affected. The announcement comes just seven months after the personal details of 1.5 million patients held by the SingHealth medical giant were blabbed after a cyberattack. The country’s health ministry said Brochez had departed from Singapore last year, and while it didn’t say where he is now, the Ministry of Health said it was seeking assistance from foreign partners to bring him back to face charges. Brochez, who has been in a relationship with National Public Health Unit head Ler Teck Siang since 2008, was in prison from the time he was remanded in June 2016 (and later convicted in 2017), until his release and deportation in May 2018. He was convicted of fraud, drug offences and lying to the Ministry of Manpower about his HIV status so he could work. 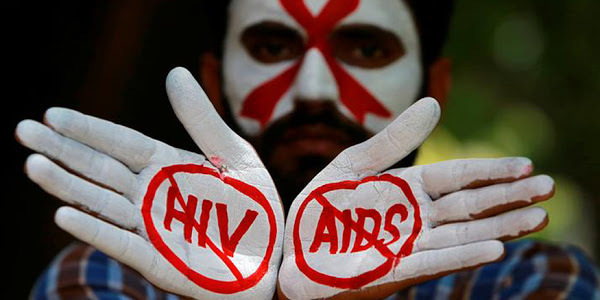 Singapore has banned foreigners with HIV from working in its territory – although it is possible for outsiders to obtain a short-term visa. Channel News Asia reported that Ler helped Brochez by supplying his own blood for government tests. The ministry confirmed he’d received a 24-month sentence for this, among other offences, and that he has appealed the conviction. His appeal will be heard in March this year. The fraud offences Brochez did jail time for also related to falsifying his educational credentials, the department claimed. “This incident is believed to have arisen from the mishandling of information by Ler, who is suspected of not having complied with the policies and guidelines on the handling of confidential information,” the ministry alleged. Health minister Gan Kim Yong has apologised on behalf of the government for the breach, and promised support for those affected.